“Navaratri”, a popular Hindu festival is a nine night’s Hindu festival to celebrate most auspicious days of the lunar calendar as per Hindu belief. “Navaratri” in its literal meaning nine nights devoted to Goddess Durga, which symbolizes purity and power. 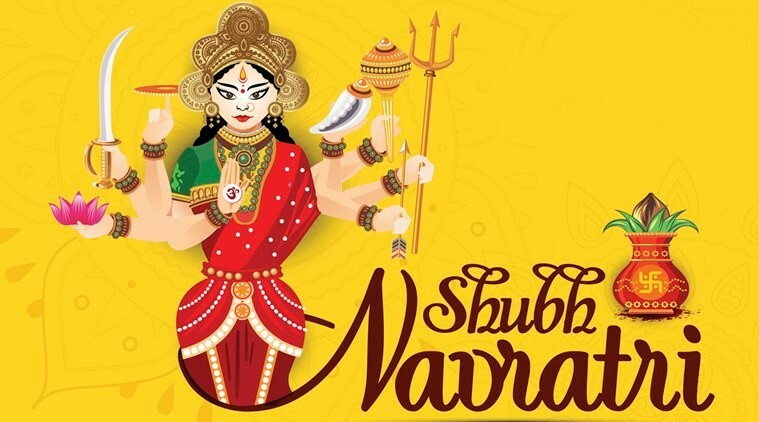 Navaratri festival is celebrated twice in a year, once in March/April known as “Chaitra Navaratri” and other one in September /October as “Sharad Navaratri”. During Navaratri festivals, there is atmosphere of holiness everywhere around. Chanting mantras and bhajans people visit holy shrines temples to worship Goddess Durga, Goddess Saraswati, and Goddess Laxmi. During Navaratri festival, Gujarat is the most happening state famous for its Garba celebrations where people dance and indulge in merry making all through nine nights during the Navaratri festival. 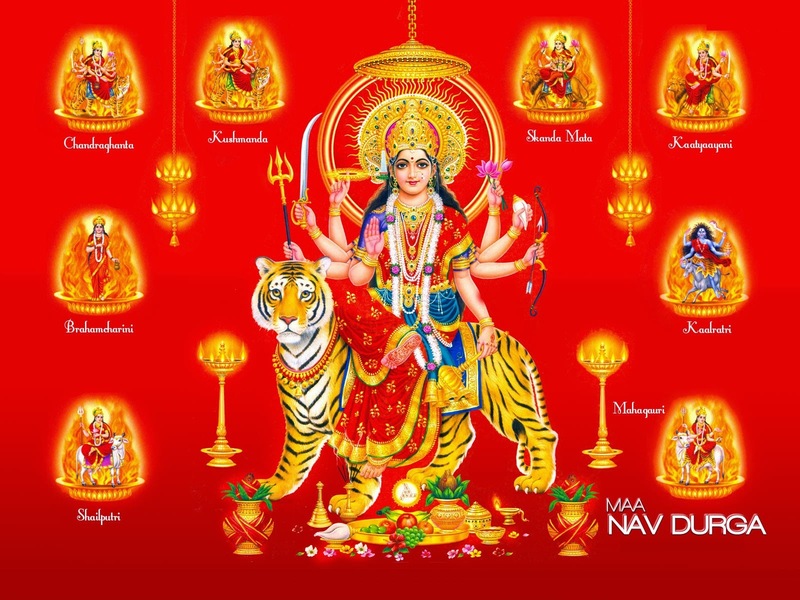 There are various Navaratri Pictures, Navaratri images for facebook and whatsapp that people send to their loved ones. Following are the picture that truly depicts the essence of the Navaratri Festivities. During the nine day long festival, Goddess Laxmi is worshipped for first three days, for next three days Goddess Laxmi is celebrated and for last three days Goddess Saraswati is worshipped. 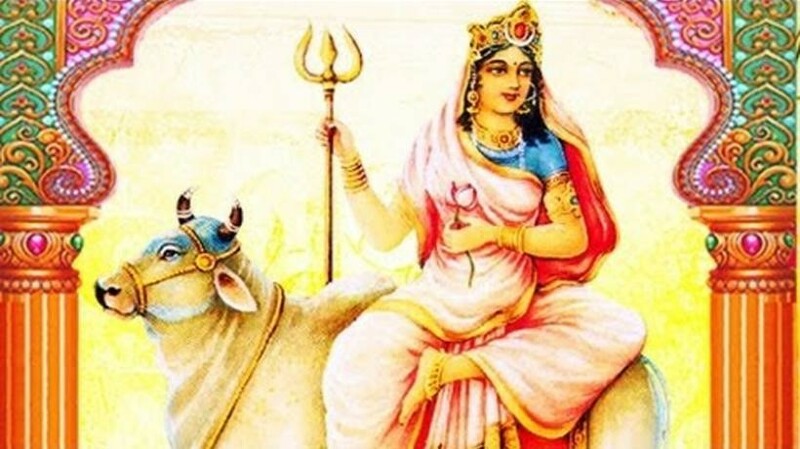 1) Day 1 of Navaratri is dedicated of Shailaputri Maa. She is considered as the daughter of mountains . Also known as Sati Bhavani ,Parvati or Hemavati ,daughter of Hemavana-the king of Himalayas ,she is first among the Navdurgas. 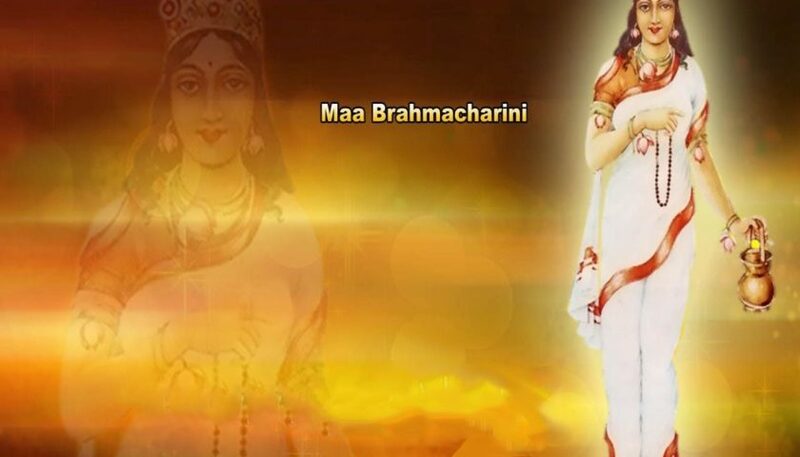 2) Day 2 of Navaratri is dedicated to Goddess Bharmacharni. She is the one of the forms of Goddess Durga who has great divine power and grace. She blesses Her devotees with peace, prosperity and Happiness. 3) Day 3 of Navaratri is devoted to Goddess Chandraganta, who blesses Her Devotees with beauty and bravery. She has a “Chandra” or Half moon on her forehead in the form of bell or “Ghanta”. Thus true to her name “ChandraGhanta”. 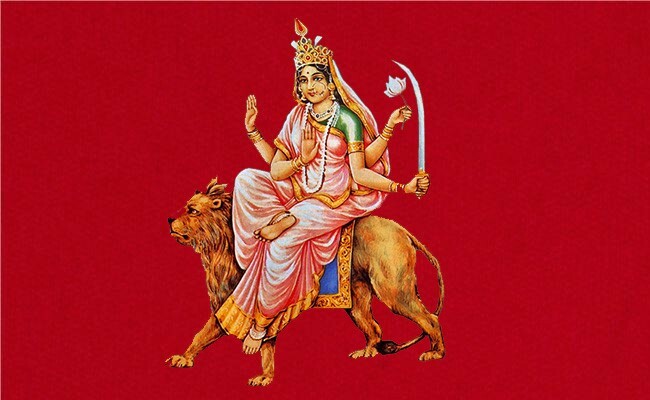 4) Day 4 of Navaratri is devoted to Goddess Kushmanda who is the creator of the entire Universe. She is often depicted as having eight or ten hands . She holds rose , weapon etc in her hands. 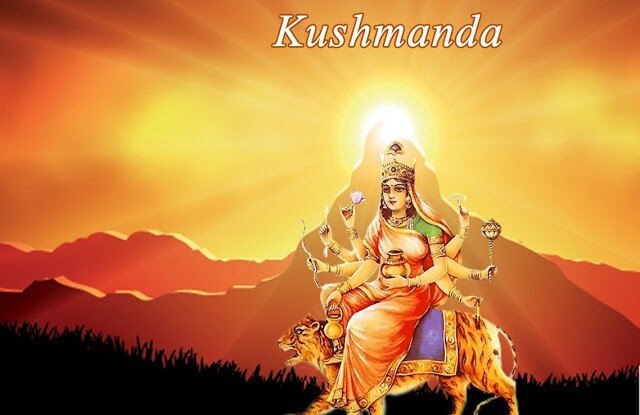 5) Day 5 of Navaratri is devoted to Goddess Skandmata,mother of Kumar Skanda. As the symbol of mother child relationship .Worshipping Goddess Skandmata is believed to bring purity of mind. 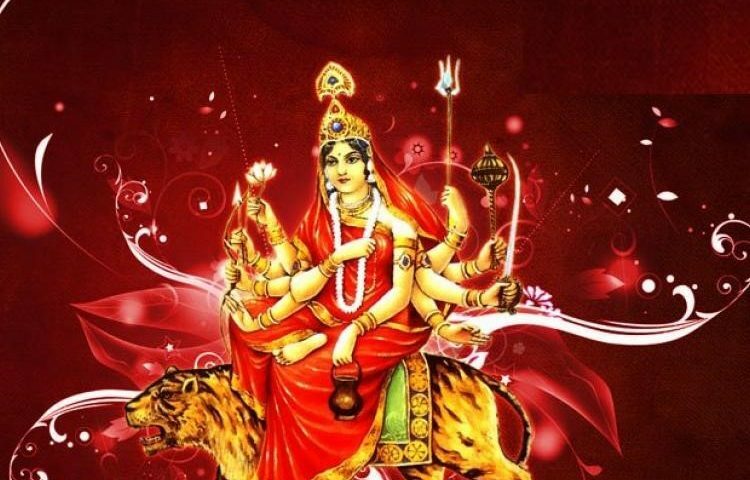 6) Katyani Mata: On the sixth day of Navaratri Goddess Katyani is worshipped. It often known as Warior Goddess among all nine Goddess. It is known to end all torments of devils & demons. 7) On day 7 of Navaratri Goddess Kalaratri is worshipped, She is believed to bless her devotees with power and high status and protects Her devotees from all bad evils. 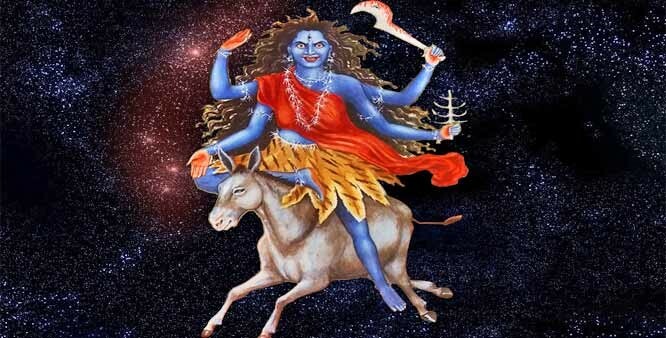 It is believed that Goddess Kalaratri eliminates all kinds of fear , sufferings and problems from Her devotees and bless them with calmness and fearlessness. 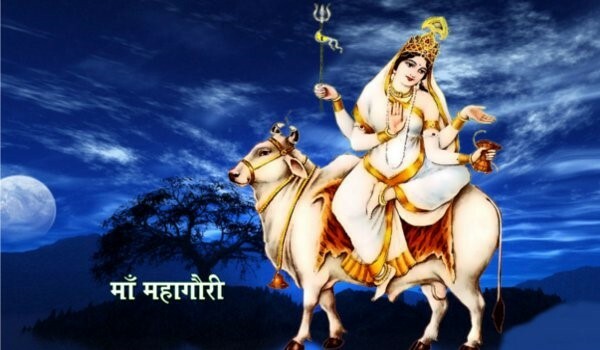 8) On Day 8 of Navaratri Goddess Mahagauri is worshipped, Goddess Mahagauri is the wife of Lord Shiva. It is one of the most important day of the nine day of Navaratri festival. It is believed that Goddess Mahagauri vanishes all previous sins of devotees & purifies their life to lead a life of Happiness. 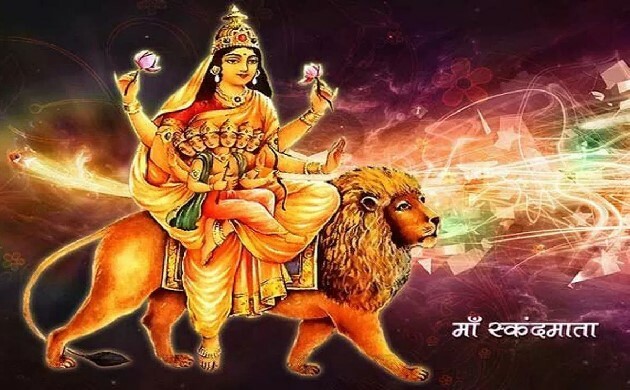 9) On the ninth day of Navaratri Goddess Siddhidatri is worshipped on the last day of Navaratri festival eliminating all fears & sufferings and bless with knowledge.